New 8th Edition 40k stuff! Posted: Sat Feb 03, 2018 8:43 am Post subject: New 8th Edition 40k stuff! 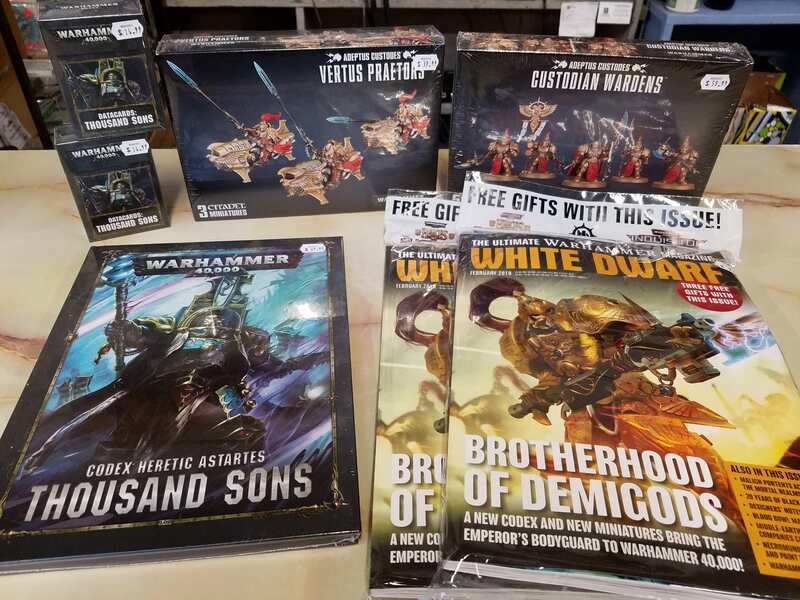 This week's Games Workshop delivery brings us the new 8th Edition 1000 Sons Codex and Datacards, the February issue of White Dwarf magazine, and some new Adeptus Costodes models. Stop by to check it out today!